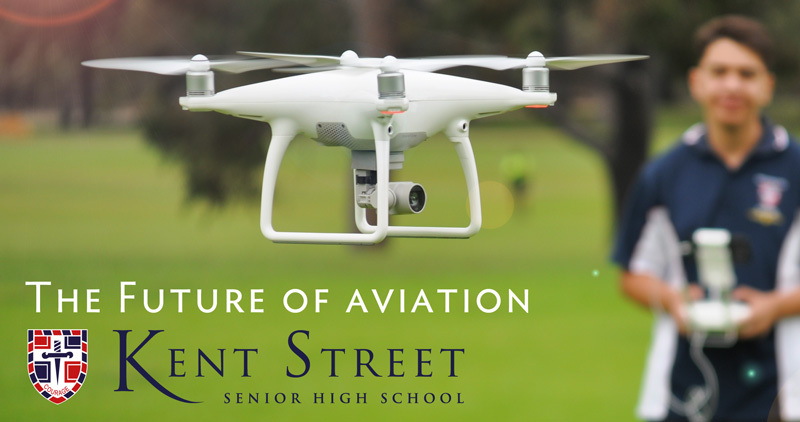 Students from years 7 to 10 with a passion for Aviation are invited to apply to Kent Street for the Kent Street Aviation Specialist Program. In addition to their core curriculum, students will study aeronautics, principles of flight, rockets, drones, space flight, with associated aspects of engineering, mechanics and robotics. This is a select entry course with prospective students being required to sit an entrance aptitude test. Owning two single engine Cessnas, combined with our excellent partnership with Virgin Australia our program is second to none in Western Australia. Students have the opportunity to pursue Aviation in upper school through the university bound course or the Diploma of Aeronautics whilst at Kent Street. A genuine interest in aviation. Satisfactory academic performance. School reports, references and personal qualities of the applicant will be considered in determining acceptance into the course. Enclose a copy of the last 2 school reports with your application form. Take an interview with a Deputy Principal to determine appropriate subject choices. The Aviation program was first introduced into the school curriculum at Kent Street in 1979. In August 1982, the school purchased its first aircraft – a Cessna 152 training aircraft. This was the first aircraft bought and operated by a high school in Australia and was used for flying training and familiarization flights. In March of 1989, the school bought its second aircraft, another Cessna 152. In July 1990, aviation students at Kent Street commenced work on the construction of a student-built Hughes Lightwing aircraft. This project was the first of its kind in Australia, with its inaugural flight occurring during September of 1992. During 1994, the school was fortunate to obtain a large aircraft hangar, donated to the school by Albany business woman, Ms Joan Terry. It houses the 2 Cessna aircraft operated by the school. In May 1999, the Aviation Department purchased a Cessna 172P four-place aircraft. The purchase of VH-HQL was considered essential to the continued development of the program. On September 4th 2003, the Aviation faculty at Kent Street celebrated another major achievement - the inaugural flight of its second student-built aircraft, a Vans RV6-A. Since 2003, students have been involved in the building of another 2 Vans RV aircraft. Early in 2011, the aviation faculty purchased VH–ECU, a 2008 Cessna 172SP aircraft (above). Equipped with a Garmin G1000 ‘glass cockpit’, this four-place ‘state of the art’ aircraft provides students with a comprehensive understanding of Electronic Flight Information Systems (EFIS) and mirrors the displays seen on some modern corporate jets and commercial airliners. Students are also able to hire this aircraft for flying training and private hire. Aviation students and staff regularly undertake excursions throughout Australia and abroad. A 5 day biennial tour to Melbourne to visit the Avalon Airshow and other industry relevant sites is always a popular event. Educational excursions to Canada and North America are also very popular with parents and students alike. Besides attending the famous Oshkosh Airshow, the tour party also visits the Boeing factory in Seattle, the Smithsonian Institute in Washington, the Kennedy Space Centre at Cape Canaveral and the well-renowned Disney World and Universal Studios in Los Angeles. A European tour is also an option for students in upper school. The 24 day excursion takes in the major tourist attractions in and around Rome, the Berlin Wall and Luftwaffen Museum in Germany, the Farnborough Airshow, Duxford Museum, Greenwich Observatory and some of the more common tourist attractions in and around London. The tour culminates with a visit to the Air and Space Museum and Euro Disney in Paris and a tour of the Airbus factory in Toulouse, southern France. Industry leaders Virgin Australia, the Aviation faculty at Kent Street together with the Canning Coalition, have formed a unique industry partnership. Under the “Adopt a School” initiative, aviation students can now undertake work experience and Structured Workplace Learning (SWL) at Virgin Australia, assisting Licensed Aircraft Maintenance Engineers (LAMEs) to conduct maintenance on Fokker 50 and Fokker 100 jet aircraft. In addition, upper school aviation students with the appropriate security clearance are able to undertake return flights with Virgin Australia pilots to various locations throughout the state of Western Australia. Students work with the pilots to determine the weight and balance of the aircraft, decipher complex meteorological data, apply navigation principles relevant to these sophisticated jet aircraft and gain a greater understanding of airline operations. Besides providing students with practical and relevant learning experiences, another aim of the program is to provide students with direct employment opportunities with Virgin Australia upon graduation from Kent Street. Virgin Australia may offer scholarships to incoming Year 7 students each year. These scholarships can be used for aviation related activities, including air experience flights and purchase of text books. A number of other scholarships are also available to students in the Aviation Program. 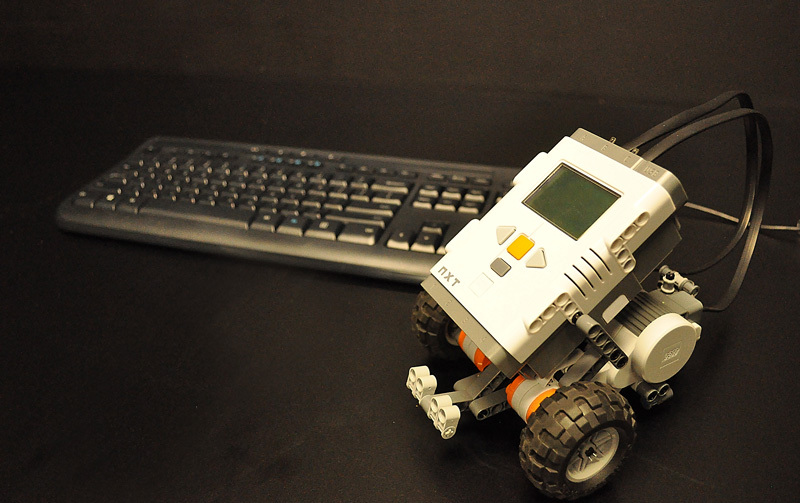 Robotics (NXT), Drone flying, programming, engineering and mechanics are all components of science and technology that are taught within the context of the Aviation Specialist Program. For your opportunity to enrol in this exciting course, please download the relevant aviation prospectus found on this site and forward it to the school promptly.